The French Revolution has a rather gory and bad reputation, and admittedly (with a symbol like the guillotine to represent it) some of that reputation is well deserved. But there is also a lot of misinformation about the French Revolution. Indeed, some of the reasons for the revolution are often lost amid tales of blood and gore. At its start, the French Revolution was similar to the American Revolution in many ways, and the French people had some very understandable reasons for revolting against their government. Before the Revolution started in 1789, a loaf of bread cost a week’s salary for the peasant class. 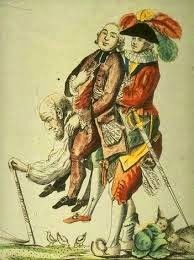 In 1789, the peasantry paid taxes to nobles, the king, and the church, while the aristocrats barely payed taxes. The cost of France helping with the American Revolution was a contributing factor to its bankruptcy. Marie Antoinette was Austrian born. 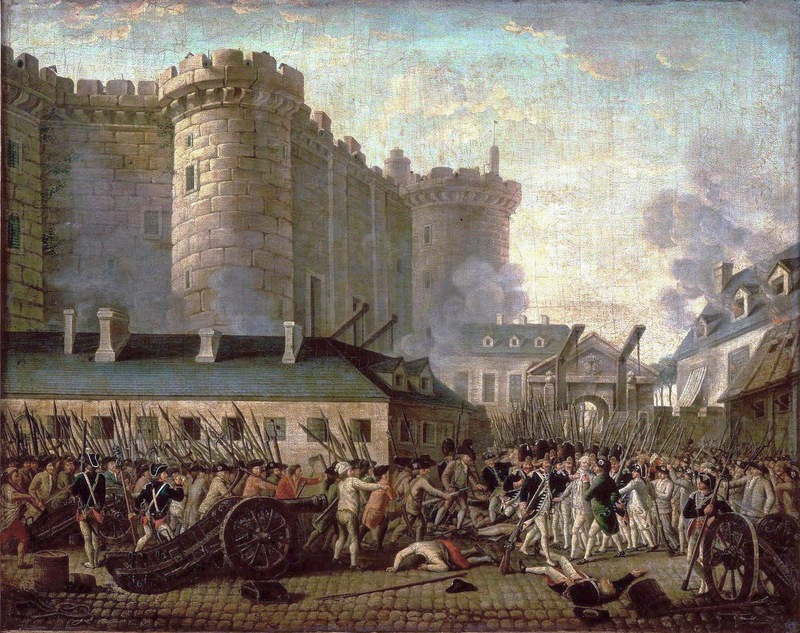 When the Bastille was stormed, only seven prisoners were being held there. Most of the France’s aristocrats were ensconced in Versailles and ignoring the famine and economic troubles until a mob of peasant women stormed the castle and demanded bread in August of 1789. The ideals behind the French Revolution were so looked down on by other European monarchies that France ended up fighting Prussia, Britain, Spain and Austria all while having their internal revolution. The French Revolutionary Government adopted its own calendar based on tens. Each week had ten days, each day had ten hours, each hour had 100 minutes, and each minute had 100 seconds. This meant the peasants who got one day a week off now had to work nine days before their break. I've written a novel set during the The French Revolution. Actually, I've written three of them, but the second is releasing in a little over a week. The first question people usually ask me after they find out where my novels are set is "Why the French Revolution?" Oddly enough, I don't find that question hard to answer, and now you know why. Do any of the facts mentioned above surprise you? If so, share which ones in the comments below. I'll be giving away one copy of my novel The Soldier's Secrets, to one commenter below. Brigitte Dubois will do anything to keep her family safe. When she is blackmailed by her father-in-law, his quest for revenge leaves her no choice. To protect her children, she must spy on the man who may have killed her husband. But Jean Paul Belanger is nothing like she expected. The dark, imposing farmer offers food to all who need it, and insists on helping Brigitte and her children. Everything Jean Paul did was in the name of liberty. Even so, he can never forgive himself for his actions during France's revolution. Now a proud auburn-haired woman has come to his home seeking work and has found her way into his reclusive heart. But when she uncovers the truth, his past could drive them apart…. 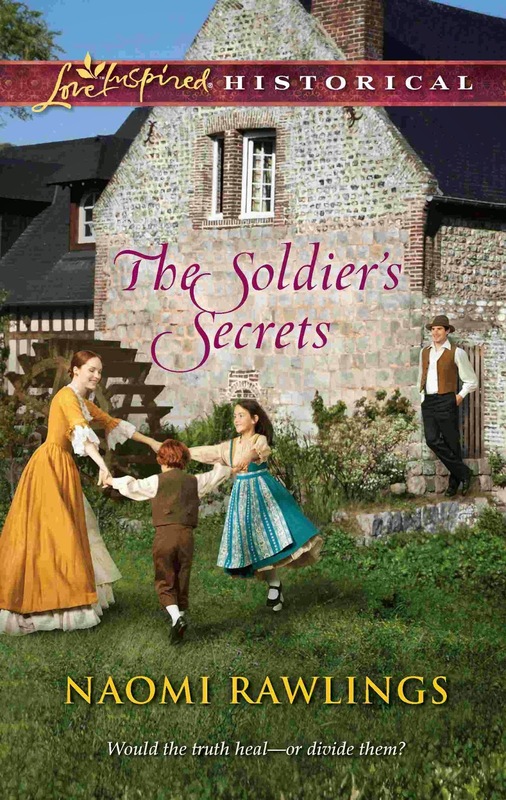 For more information about The Soldier's Secrets and the Belanger Family Saga, visit www.naomirawlings.com. wow I didn't know much of that at all. I read your first book and when you talked about metric and kilometres I admit I did do a search and found our the French created the metric system (thanks). Now this is a book I need to read. I want to see how you have changed Jean Paul although he had changed by the end of the book. I also love how you have people from different sides in the stories. (if an aussie can enter please enter me.). Either way I am getting this book. ps I love the cover. Now I want to watch the Scarlet Pimpernel again! Pretty much all of that is new info to me. No wonder the peasants were upset. How did they survive when a loaf of bread cost a week's salary? Interesting stuff, Naomi. What an interesting post! I am not familiar with many details of the French Revolution, so the facts your shared were new to me. I found the tens-based calendar to be very surprising. Thank you for sharing these fascinating bits of history. The Belanger Family saga sounds like a wonderful series, as does Brigitte and Jean Paul's story! Ouch, Margaret! There are certainly some less pleasant aspects of the French Revolution--like that. :-/ However, one also needs to remember that the French people had also endured centuries of terrible oppression at the hands of the aristocracy. Was all the killing good? No way. But in my mind, things were bound to boil over in one way or another. I'm sorry for the people killed during the revolution, and for the people killed before it. Because there were lots and lots of peasants who died due to the policies of the monarchy, aristocracy, and church leading up to that time. Though it is not 'my period' and I know little about it, I doubt I will ever accept that the French revolution was a good thing. I have heard that something like 2 million people were killed, and like many other revolutions it ended with worse tyranny then it had sought to replace. Furthermore, the historian in me is inclined to question whether the authorities beforehand really were all that bad, or were vilified by later propaganda. I have heard that the King wanted to act, but the voting system in government did much to prevent him. It also sounds like expensive foreign wars and bad economic conditions may have had some bearing- an explosive mixture at the best of times I think. The irony of it all? That many of the principals of freedom and liberty underpinning the French Revolution were actually established in Britain or had existed there for centuries. The belief in the supremacy of the rule of law, limited monarchy, representative government, even trial by jury. Interesting facts of the French Revolution. One of the facts surprised me was the one when Bastille was stormed, there was only 7 prisoners held there. Very informative post, I never knew they had a calendar based on tens. I sometimes find 24 hrs in a day is not enough time for all the things I must do. I really enjoyed your first book and look forward to this book. Thanks for the giveaway. Very interesting. I didn't remember very much about that time. But, for sure never heard about their time. It was yucky! Hi Naomi thanks for an interesting post! I knew all of the Marie Antoinette facts but had no idea there were only 7 prisoners when Bastille was stormed! And Oh. My. Gosh. I'd have been doing some serious storming if I had to work that new calendar system that sorry excuse for a government had made up, too! Like, MAJOR storming!